A rich and diverse anthology collecting the work of thirteen leading Caribbean poets. 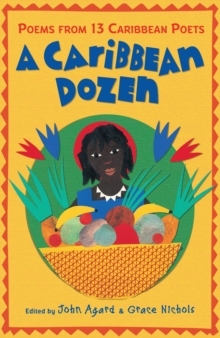 Infused with the flavours and rhythms of Trinidad, Guyana, Jamaica, Barbados and the Bahamas, A Caribbean Dozen vividly evokes the childhood memories of the Caribbean's finest poets: Valerie Bloom, Faustin Charles, Telcine Turner, David Campbell, Opal Palmer Adisa, Marc Matthews, Dionne Brand, Pamela Mordecai, John Lyons, Frank Collymore, James Berry, Grace Nichols and John Agard. There are over fifty poems in this magical collection and introductions to each of the thirteen poets, as well as biographies and an easy-reference index. The book is illustrated in black and white by collage artist and painter Cathie Felstead.